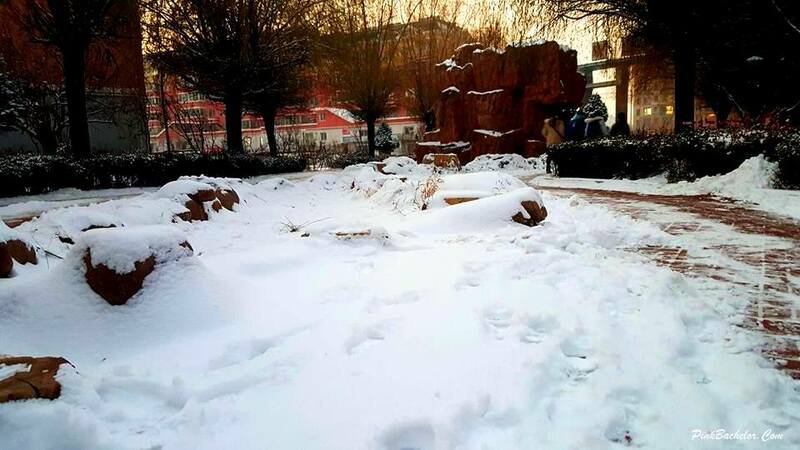 These past few weeks have been my worse winter experience in Northeast China. January seems to be the coldest month of the year and it’s my first time to experience this kind of extreme cold in below zero temperature. Apparently, the temperature plays from negative 1 to negative 20 and it’s really a struggle to get out of the bed in the morning. Here’s what it makes it irritating. I bike to school everyday and I have to hit the pedal of my bicycle early (before seven in the morning) so I won’t get caught by rush hour and it’s safer to bike with less cars on the road. Literally, it’s freezing outside and I have no choice but to endure the cold and sacrifice for the sake of my school. I’ve been doing this routine for almost a year now and I kind of not getting used of it, still. The extreme cold in the south is apparently different in the north. The cold here goes through the bones and there’s no escape other than staying warm at home. I have proper clothing to counter unwanted quiver but situations only show me the fact that I can’t beat the cold. To get to the bottom, I’ve been sick for a week and feeling scared to get out from my apartment. I feel scared to experience the cold and to me, it’s a whole dilemma that a summer guy like me is stuck in the cold and freezing. I am not complaining to the nature but this is something that I keep on imagining myself to endure the pain inside me of waking up early morning facing the below zero temperature. I couldn't tell my family that I'm sick because I don't want them to worry about me. My first winter experience in China was awesome and it came close to a heft difference to compare the present. I've been to Beijing and Tianjin but never did I feel this kind of unfortunate situation. I had no trouble in winter experience but this time, I got beat up and frozen. I need warm hugs unfortunately it's hard to get them these days being away from home. Good thing I get more hugs from my students.